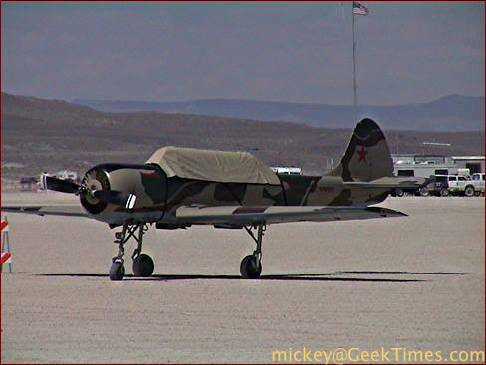 I bicycled out to the airport, where I saw this interesting build-it-yourself (I think) kit airplane. This didn't come out of a box. For those planespotters out on the 'net, this is N161AJ (for the rest of you 'N' means American). 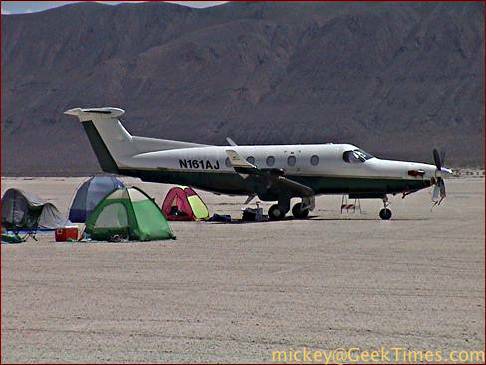 Such a low-flying hazard! 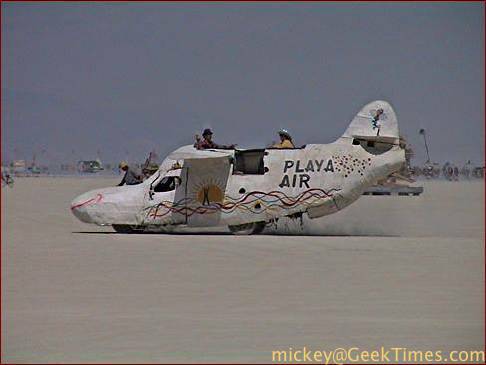 Fooled you, it's the beloved Playa Air art car. 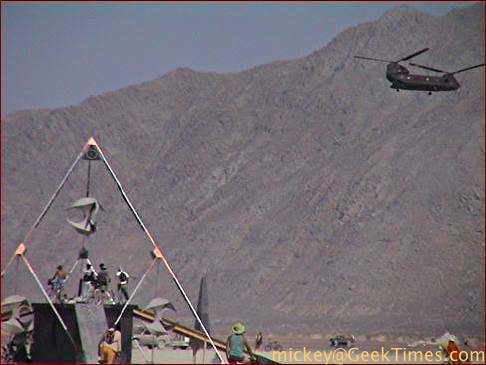 In the air, but further out, is this military helicopter, which, along with several military cargo transport planes, kept coming back to buzz Black Rock City. I thought the commander of the air base prohibited this a few years ago.